Seeing that no automakers currently produce a car based ute in the US, interest in older El Caminos and Rancheros is stronger than ever. A cottage industry has even sprung up selling car to truck conversion kits for Dodge Chargers and various VW cars. The Ford Durango ute was not an official Ford vehicle, but some 212 conversions were said to have been produced by National Coach Works between 1979-82. Today's car has followed the Durango formula by starting with a two door Futura model and basically losing everything after the b-pillars to create the flat floor pick up bed. 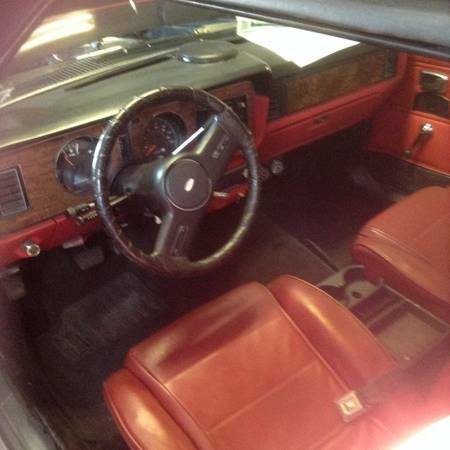 Find this 1979 Ford Fairmont for sale in Stafford Springs, CT for $8,500 via craigslist. 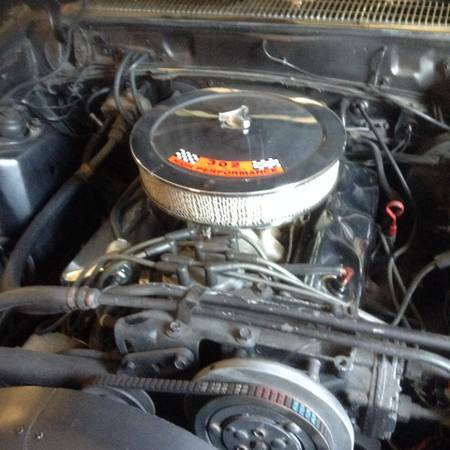 This Ford Fairmont has had a 302 V8 with a four barrel carb swapped into the car. It appears someone has swapped in some Mustang Recaro seats, Mustang steering wheel, and extra gauges below the glove box. 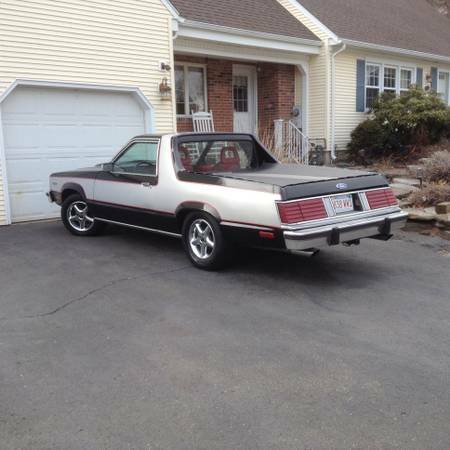 The fox body based Fairmont must have originally had a straight six engine. The seller notes the 302 has been fitted with a set of headers and you can see a true dual exhaust set up out back from the images. The three color paint scheme is very busy and the dated five spoke chrome wheels are not doing the car any favors. The wheels issue could be easily remedied with some Mustang units. 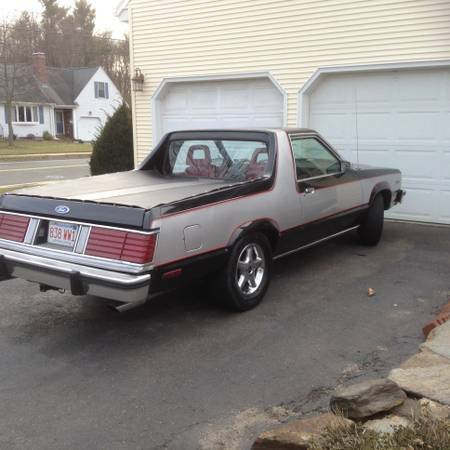 The seller notes the car gets more attention than any El Camino or Ranchero. Cory is going to be checking to see if the cats are clogged on his 1995 Mercedes C36 AMG Sunday. Man, it's CT submission week this week. For when a regular Ranchero is not trashy enough. The Fairmont looks like a truck already with those B pillars so this looks quite factory made. The seller makes us wonder about the quality of the 'bed'. Given that this is a custom build and everything hinges on how well the bed turned out; it seems kind of odd that not one picture of the bed was included in the ad. Hmmm.